After missing several events that a friend had organised, I had to put a date in the diary and meet up over coffee. It had been narrowed down to a choice of two locations, either somewhere near Spitalfields or near Highbury. The latter was chosen and I took up my friend’s suggestion of meeting at Maison D’Etre. 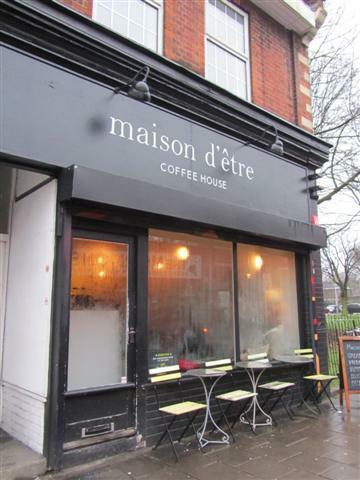 Maison D’Etre with its black frontage, is located on the roundabout of Highbury Corner. I always forget that this place is there as it is on the other side of Highbury Corner and a little hidden away by the roundabout, trees and traffic. On this particular day, the cafe window was all steamed up, so it was difficult to see in. As I was a little early, I took a seat on the cushioned window seats. Unfortunately, the cushions felt damp and cold, maybe due to the window condensation that had been dripping onto it. This did not get off to a good start in my eyes. Maison D’Etre is quite a small cafe with an additional room at the back on a lower level. 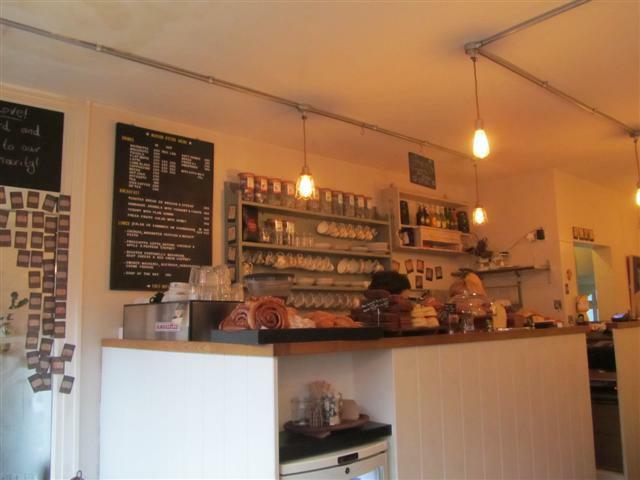 The counter is opposite the wooden seating area. The cakes were all openly displayed and they all looked fresh and of a good size. I still prefer if cafes would keep their cakes and other foods covered on the counter. So, as the cakes were all open and even they were tempting, I did not try any of them. There were also some sandwiches on display. There was a good range of teas from the Teapigs range on offer and the staff were happy enough to give some recommendations. The Chocolate Flake Tea was chosen. The combination of the black tea, chocolate chips and cocoa beans was lovely. The tea was served in a pot with a small china cup and saucer. 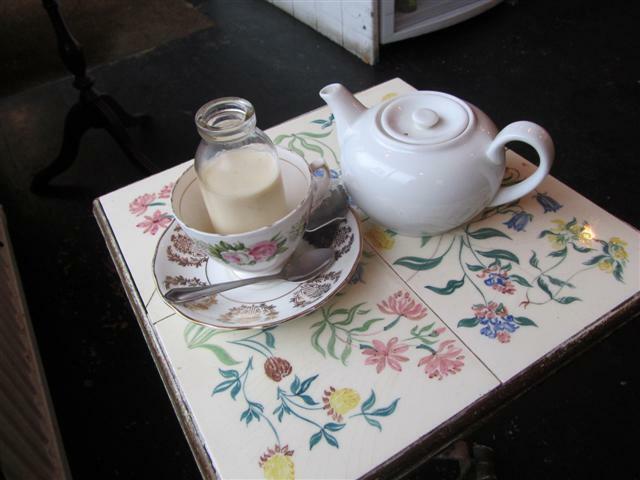 There was something of a vintage feel going on with this cafe. The soya milk was presented in a little milk bottle, like the ones that we used to have at break times at our first school. For some reason, I just did not feel relaxed and comfortable at Maison D’Etre. I am not sure if it was because it felt quite small, cold or if it felt a little unclean. On a more positive note, the staff were welcoming, friendly and gave service with a smile.